Oon Jester felt storage bins are not only fabulously blasted with pom poms and easy on the eye, they’re roomy enough to fit all your kids treasured loot and furry friends in when not being strewn across the playroom floor. 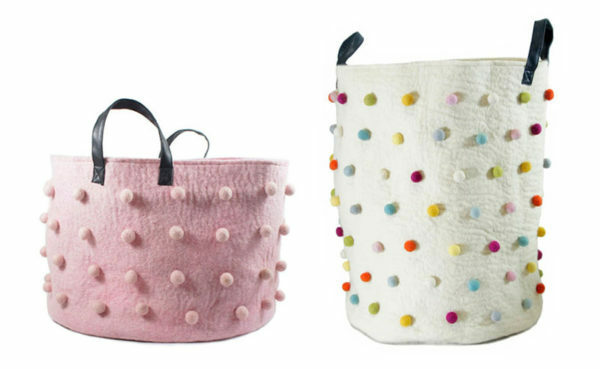 Made from super soft and durable New Zealand wool felt and finished with leather look handles, they’re available in two sizes and three colours – grey, pink and cream with multi coloured pom poms for a touch of extra fun. Oon Jester felt storage bins are currently on sale, priced from $72.75 and available from Hard To Find.